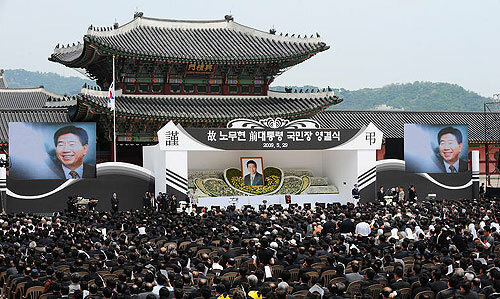 The public funeral service for former President Roh Moo-hyun, who died Saturday, began at 5 a.m. Friday, when his coffin was carried out of his home at Bongha Village in Gimhae, South Gyeongsang Province. 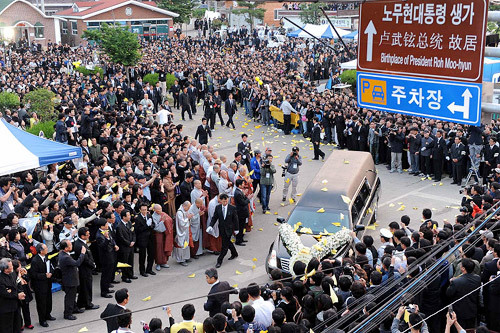 His ashes will temporarily be placed at Jeongtowon, a Buddhist temple in the hills behind his home at 9 p.m. after a funeral service in the front yard of Gyeongbok Palace, a brief roadside memorial at Seoul Plaza and cremation at Yeonhwajang Crematorium in Suwon, Gyeonggi Province. 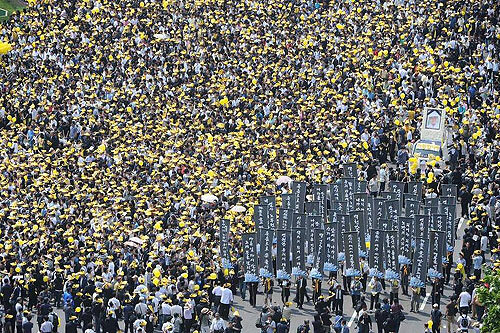 Police will restrict traffic in the Gwanghwamun area in downtown Seoul to ensure a smooth procession. 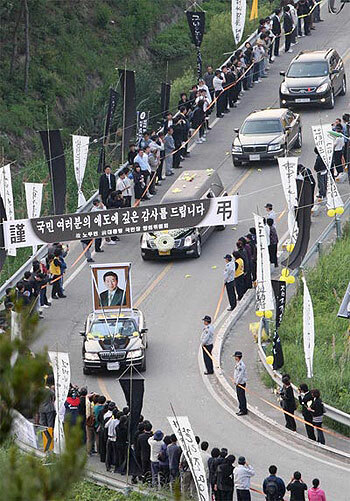 A hearse carrying the coffin of former President Roh Moo-hyun leaves Bongha Village in Gimhae, South Gyeongsang Province for the funeral service in Seoul on Friday. Are Prosecutors Free from Blame in Roh's Death?